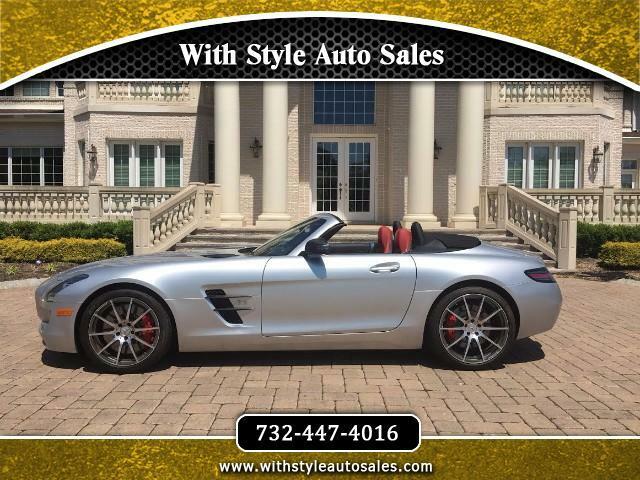 2013 Mercedes SLS AMG GT Convertible in great condition inside out. Very rare GT model (rarer and a bit more powerful from the regular SLS AMG model). Car is super clean inside out, everything works perfect. No known accidents - free carfax report will be provided. Car is fully loaded - heated seats, power seats , key less go , parking sensors,navigation , rear view camera and MUCH more. Car has carbon fiber front grill , side mirror covers, hood and side vents fins , central console. Car looks amazing , best color combo by far. Very clean and very rare car. Value goes up very fast on these very rare special cars.